If you are familiar with the man who uttered this beautiful quote, then there is no need to convince you how amazing the show Parks and Recreation is. 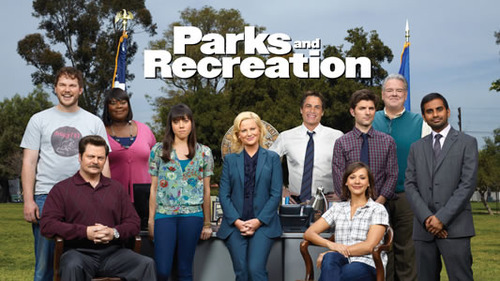 For those of you who are unfamiliar with meat enthusiast, Ron Swanson, and the glory that is Parks and Rec, I would like to formally introduce you to one of the most treasured and sidesplitting episodes of the entire series, “Flu Season.” If you have never seen Parks and Recreation, “Flu Season” is a guaranteed gateway episode that will get you hooked on all the amazing hijinks and hilarities that make the show worth watching. Like any good gateway episode, “Flu Season” perfectly lays out any and all developments that have happened in the first two seasons of the show, within its 21 minute time-frame. All major characters come together in this episode to highlight the essence of what makes them wonderfully unique. With all but the final seventh season of the show available for streaming on Netflix, Parks and Rec, is the perfect comedy for fans of The Office, 30 Rock, Gilmore Girls, Buffy the Vampire Slayer, and more. All of the shows I stated above have one very important thing in common: strong female characters. If you are a fan of strong female protagonists, Leslie Knope, played by Amy Poehler, will quickly become your new celebrity crush. Leslie is a strong-willed, passionate, and slightly obsessive mid-level bureaucrat in charge of the parks department in the small town of Pawnee, Indiana. For her, no dream is too big; despite backlash from the town and even her coworkers, Leslie manages to accomplish everything she sets out to do and constantly surprises people along the way. Before getting into what makes this episode so watch-worthy, I must give a fair warning and acknowledge that what follows will not be 100% spoiler-free. In “Flu Season,” Leslie works to gather 80 local businesses in order to sponsor The Harvest Festival, an old town tradition that she desperately wants to brings back to help save her job and Pawnee. With the town in financial trouble, and Ben Wyatt (appointed financial advisor) breathing down her neck to save the town, Leslie pushes herself far past a normal person’s limits in order to get the job done all while nursing a very pernicious strand of the flu. Obviously, Andy is not the sharpest tool in the shed; it is his uncensored thoughts and actions that make him such a hilariously lovable character. However hilarious the men may be in this episode of Parks and Rec, it is Leslie Knope who steals the show with her endless stream of fever-induced phrases. From the moment she is checked-in to the hospital, she is lost in the madness of her fever, believing she is jumping around doing cartwheels when in reality she is sitting on a bed. After making a wild escape from the hospital, Leslie manages to hail a taxi to her meeting with the Chamber of Commerce. As she arrives, she asks Ben to pay her cab fare, which is indiscernible to her: “I’m not sure. I looked at the meter and it had Egyptian hieroglyphics on it. Do you know the exchange rate?” After delicately crossing the floor, which in her mind has been switched with the ceiling, Leslie continues to deliver more comically worrisome lines in a completely serious manner. For instance, “Good evening everyone, I’m Leslie Monster and this is nightline,” is delivered straight to a mural on the wall when Leslie thinks she is speaking on stage in front of everyone. Of course, in the end, Leslie manages to give a perfect speech all while hiding her flu symptoms, effectively impressing the pants off of Ben Wyatt (her ‘somewhat nemesis’ of the season). There is no limit to the amazing one-liners that one can learn from this single episode of Parks and Recreation. Not only is it a fan-favorite, but “Flu Season” is the perfect gateway episode that can and will get anyone hooked on this amazing show. There is a character for everyone to love or hate and a wide-range of humor that will get even the most stoic TV-watcher cracking up with laughter!